“7 Rings” is the second single released by Ariana Grande on January 18, 2019 for her upcoming fifth studio album “Thank U, Next”. It debuted at number one on the Billboard Hot 100 and also topped the charts in other countries, including the United States, Australia, Canada, Portugal, Ireland, Norway, and Sweden …. Ariana Grande’s “7 Rings” debuted at number one on the Digital Songs chart with 96,000 downloads and had great performance in the streaming world too. It broke the record for the most streamed song in 24 hours on Spotify, with 14.9 million streams globally the day after its’ release and topped the Streaming Songs chart with 85.3 million US streams in the week ending January 24, 2019. If you’d like to stream Ariana Grande’s “7 Rings” for listening, Spotify is a good choice. But what is the best way to download the song for offline listening or transfer it to other devices for enjoying? As we all know, Spotify is a music streaming service offering DRM-protected songs, for which all the songs on the platform are unable to be downloaded to computer as local files. Below you’ll find the best solution to save Arian Grande’s “7 Rings” from Spotify as MP3 File on Local Computer, with a simple yet efficient Spotify music downloader – NoteBurner. 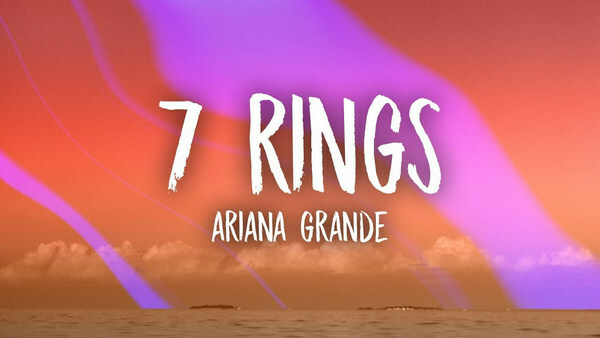 Click “Convert” button to start converting Ariana Grande’s “7 Rings” song to MP3 format. When the conversion is done, the song would have already been saved as an MP3 file to the output path you set in previous step. By clicking “History” button (like a clock) on the upper right or directly going to the output folder you customized in Step 3, you can find the downloaded “7 Rings” song in MP3 format.